Years ago, when I was just moving into the world of urban technology, I stumbled upon the urban “walkshop” format developed by Adam Greenfield and Nurri Kim (refined and expanded by Mayo Nissen). These walking tours were collaborative, lightly-structured investigations of surveillance and communications machinery sprinkled throughout various cities. Though these walkshops pre-dated what some now call the Internet of Things, there was plenty to look at, especially as cameras trained on the public way proliferated. Sometime later I helped curate the City of Big Data exhibit at the Chicago Architecture Foundation. Being primarily a touring organization, CAF staged a few walking explorations of the collection, transport, and effects of data throughout the city. I was not involved in the development of this tour, though the idea of an “architecture” tour that took as its subject the hiding-in-plain sight constellation of objects, poles, wires, sensors, and cameras that shape a city’s daily life was never far from my mind. And so it was that yesterday I led a tour of about 20 people during the Denver Architecture Foundation’s Doors Open Denver, our city’s annual two-day invitation to explore architecture and spaces normally off-limits to the general public. Called Networks of Denver: Evolution of a Smart City, the tour was obviously an outgrowth of my work with CityFi. Less obvious – at least to the folks who took the tour, I hope – is that I still feel like a newcomer to Denver; my naïveté about how things work here still feels like license to be aggressively curious. So we set out for 75 minutes to find evidence of digital technology in our physical, urban surroundings. Back to the why: my sense is that as more and more urban technology crowds onto our streets it has become increasingly difficult to miss. 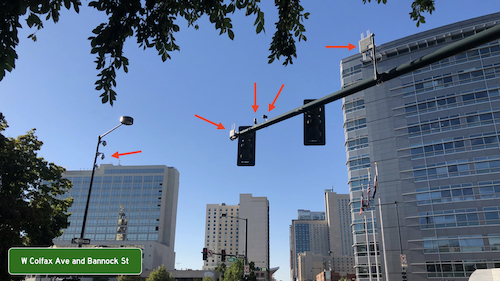 A few years ago you might never have noticed distributed cellular antennas festooning decaying rooftop water tanks, but today the streetscape is cluttered with many more devices much closer to the sidewalk and roadway. Add to that an increasing awareness amongst the general public that technology is changing the way we use cities: red light cameras flash in our faces leaving us to wonder if we’re driving the car it caught; dockless scooters zip us around then lay in ugly piles on curbs; pay-by-cell options mean never having to run out to feed the meter. This networked machinery shapes our urban lives. Like brick-and-mortar architecture, the shaping is subtle, often unrealized consciously. Maybe we were given more time to transit the crosswalk because an elderly man was slowly crossing opposite us and a pedestrian video analytics system gave him more time to make it. Maybe you don’t want to picnic in the park because you know the LTE connection there is spotty. Maybe an environmental sensor whose video array is pointed straight up at the sky has informed your hyperlocal weather app which advises you to jump on the bus rather than walk because it knows your few blocks are about to get a sunshower. 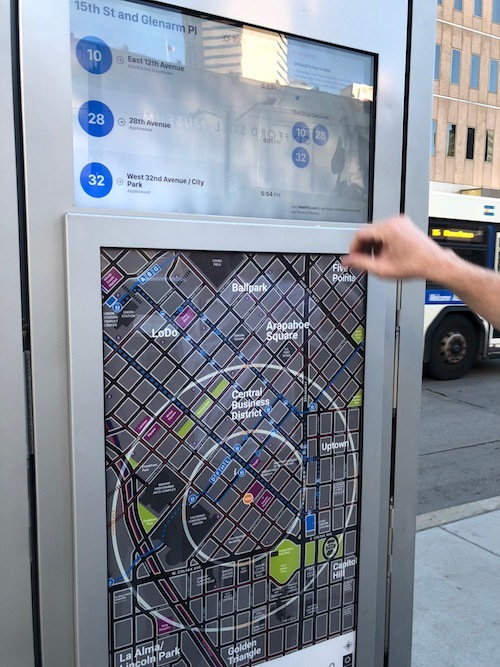 Our discussion of the potential ways that augmented reality could affect the urban realm, for good and for ill, was greatly aided by a five-year-old art/information installation along 14th Street, one of the main corridors we explored. Called the 14th Street Overlay this project has installed antique-looking optical instruments and QR code-enabled placards along the street that attempt to superimpose historical images in situ. 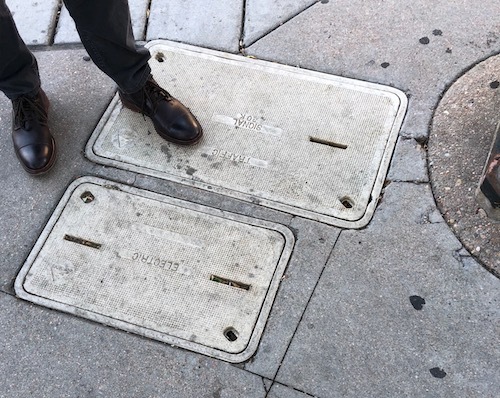 How will we behave on sidewalks when we can call up these images on our own devices registered and overlain seemlessly on the physical world? How will that change our sense of place? 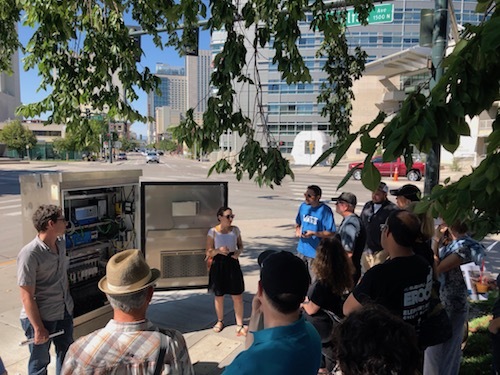 We ended our tour looking at two newer and larger installations: a Verizon 5G pole and an information (er, “transit amenity”) kiosk. 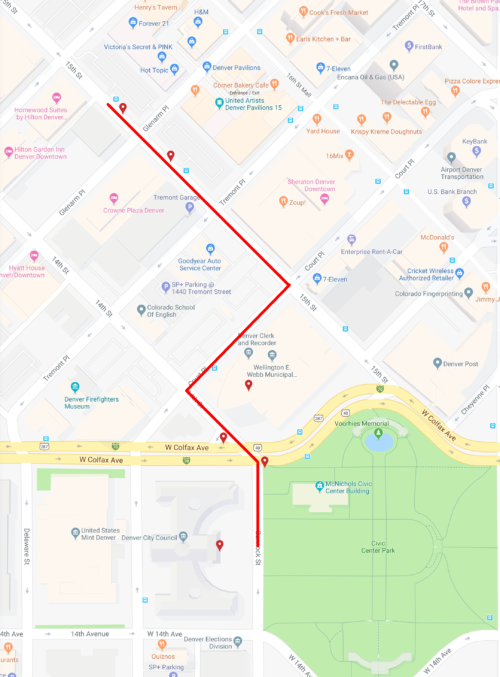 The thick, towering 5G pole and the number of them required by Verizon and their competitors to blanket the city have lately been a source of some public concern. There was much discussion about the city’s role in making sure such infrastructure blends in to the built environment, either by combining their radios into existing street furniture or requiring that multiple carriers share a common host. The kiosk was a bit of a disappointment as it is clearly a giant piece of outdoor advertising first, “amenity” second. The public transit information offered is static (i.e., a schedule rather than real-time tracking) and non-interactive. And yet the unit takes up an enormous amount of space on the sidewalk. Apparently most of the inside of the monolith is empty. Most agreed this was a wasted opportunity to do something truly useful in our public way. I consider the day a success, as I do the version of the tour I gave to my CU grad student class the evening before. Many of the topics that our exploration prompted were about issues of public versus private control and data (observability versus surveillance), how such instrumented intersections could lead to a real-time urban design, ethical concerns about what happens during the transition phase from unconnected to connected vehicles (“is it wrong to provide information to a subset of motorists?”), and how far the city should go to help the private sector test their wares. This was only the beginning of the conversation. It’s difficult to unsee all this machinery once you know where it is and what it does. I encourage you to go exploring in your city. Ingrid Burrington, Dan Hill, and, Shannon Mattern (including of course Greenfield and Nissen, linked above). CityFi partners John Tolva and Story Bellows frequently find themselves on the frontier of urban change. Their facilitation of major projects often convenes public-private stakeholders, utilizes new models of technology and innovation, and drives policy development, all with the goal of making our cities more livable, vibrant and economically competitive. Currently, this mission extends itself to the western frontier of Colorado. These days, the booming Denver-metropolitan region has largely kicked its historical image as that of a dusty cow town; in fact, two of CityFi’s major Colorado-based projects illustrate the innovative, multi-sector and often regional collaborative momentum this state has built toward creating sustainable, positive change for its diverse communities. 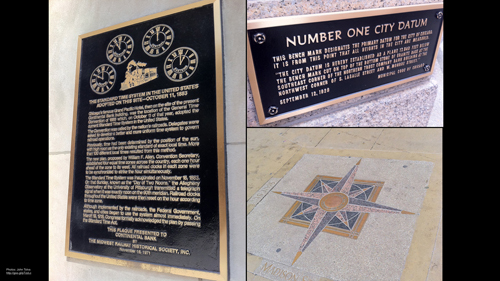 The history of CityFi coincides with the beginning of its relationship with the Denver South Economic Development Partnership (Denver South EDP); it was the project to develop a blueprint for turning the Denver South region — a conglomeration of several small cities driven by its economic hub in the Denver Technological Center — into a 21st Century Innovation District, which was the firm’s first. The Blueprint is a critical component to retrofitting this region — a major economic driver for the state, contributing nearly 20 percent of the state’s economic output — so as to keep pace with the urban changes that Denver is undergoing. Denver South is primarily centered around the major artery of Interstate 25, which runs north-south into the heart of downtown Denver. A new study recently projected that in the next ten years, 70,000 additional people would be coming to the region each day to work, highlighting the critical nature and urgency of determining how infrastructure, local culture and the built environment could be transformed to meet these needs in coming years. As a result, “the blueprint reinvents the approach to making an effective and attractive suburban landscape by providing a guide for city officials and developers as to how to integrate new technology solutions, approaches to policy and governance, improved land use and cultural change,” Bellows said. For Denver South EDP, this shift is important to maintaining business vitality in the area, as without addressing these barriers, the region risks losing business to other parts of the city, or even other states. The blueprint also leverages one of the most significant investments made in Denver South in recent decades, that of RTD’s transit infrastructure, including a light rail system, which stretches as far southeast as the City of Lone Tree. CityFi wants to better integrate this asset into the built environment to improve Denver South as a place that can accommodate increased people and their desire to live, work and play within proximity. CityFi sees the challenge of Denver South as also its greatest opportunity. While Denver South may not have the caché or national intrigue of Denver’s downtown core, CityFi recognizes its fundamental importance as part of Denver’s economic engine, and believes formulating its successful future can inform the efforts of other cities also recognizing the benefit of retrofitting aspects of suburbia to accommodate population growth, mobility patterns and new models of the workplace. In short, CityFi sees opportunity to improve development, asset use, business decision-making and policy in Denver South to not only make the region sustainable, but also to improve the quality of life for those that live and/or work in the area. “Citizens everywhere — not just those in the densest, most active parts of a city — deserve the chance to feel truly invested in and love where they live,” Tolva said. One of Colorado’s particular strengths, including within the Denver South region, is its propensity toward multi-sector and multi-jurisdictional collaboration. This unique asset is significant when considering the scope of retrofitting suburban regions for the future. Rather than decisions made in siloed vacuums, urban change leaders — from city officials and developers, to business leaders and citizens — can collectively work to shape the development of our cities. “Not only does this approach build capacity, it allows problems to be comprehensively addressed so that the resiliency to weather change is strengthened,” Bellows said. 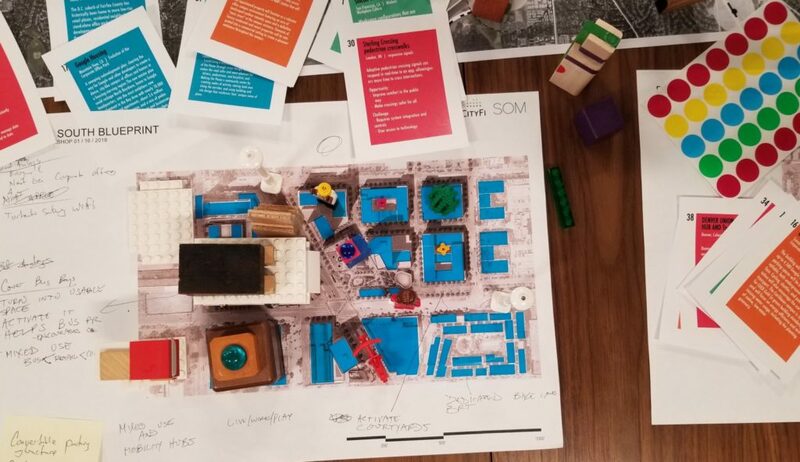 This collaborative approach will help to overcome Denver South’s challenges, including defying the misperception that growth and density leads to a lower quality of life for its citizens. Rather, CityFi seeks to reframe this by educating on how population growth and changes to the built environment will actually provide, not take away from, increased choice and connectivity. CityFi and Denver South EDP believe this will become evident as the blueprint is incorporated into future planning practices, and holds the potential to become a national model for how to approach suburban retrofit that accommodate the needs of both old and new residents and workforce. 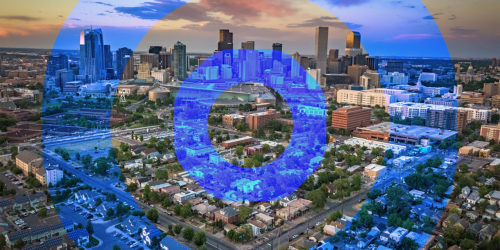 CityFi’s other major project with Denver South EDP is the ongoing creation of the Colorado Smart Cities Alliance, which capitalizes on CityFi principles of using innovation and technology to solve the complex urban challenges our cities face. 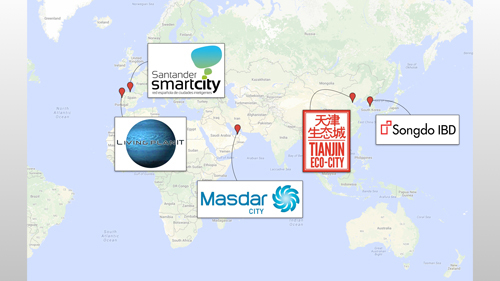 The Alliance — while still nimble and in its early stages — serves as an incubator for Smart City pilot projects, living civic labs, resource and best-practice sharing, and multi-sector and jurisdiction engagement around city challenges that cannot necessarily be addressed through traditional government or private sector avenues. 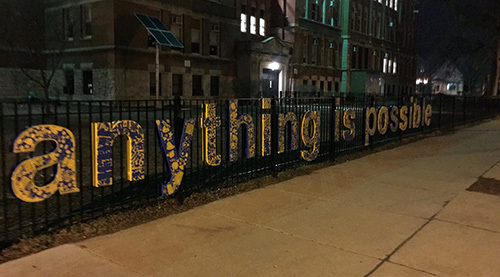 What is most unique about the Alliance, and what is also evident in the Denver South Blueprint, is the additional leverage that regional collaboration and problem-solving bring to the table. 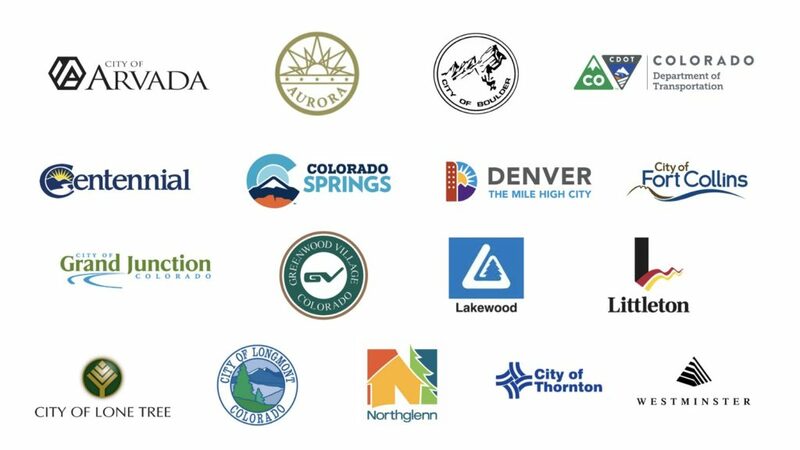 While the Alliance originally began under the auspice of Denver South EDP and the cities it represents, it was quickly realized that this effort would increase in value and return on investment for Colorado citizens if it became a statewide project in which all major cities were engaged. While Colorado cities vary greatly — from small mountain towns, to the Western Slope, to the major cities of the I-25 corridor along the Front Range — what is evident is that each of these cities are facing challenges while adapting to rapidly-changing environments, whether urban, rural or suburban. As the Alliance unfolds, it will have two main roles: first, to solve city problems where solutions do not currently exist through traditional procurement channels; in essence, as Tolva says, “to loosen the innovation throttle inside of cities, and reduce the risk associated with implementing innovation in government structures.” The other main objective will be for cities to be able to capitalize on the economic development opportunities that arise from the resulting multi-city, cross-sector collaboration. As the Alliance incorporates private sector partners, there is a reciprocal return on investment in being able to test new technologies across a variety of city landscapes to understand the true costs and benefits of their application. CityFi’s role is critical in managing the balance between these public and private participants, while recognizing that both parties are necessary to shape the direction of Smart City solutions and provide a pathway for two-way learning. CityFi’s presence in Colorado continues to grow, and is currently working with Denver Mobility Choice, the City of Aspen, and Panasonic on new urban change projects. The Colorado-based CityFi team has also doubled in the past month with the hiring of a new associate. Look for more updates about CityFi’s Colorado projects in upcoming months. Much as I have enjoyed being a gentleman-of-leisure pack mule, fourth-rate interior decorator, and horrible default parent during the move to Denver, it is time to let you know what I’m up to. I’ve co-founded a company with some of my favorite former colleagues. It’s called CityFi. If you’ve followed me here over the years you won’t be surprised to learn that we’re in the business of helping towns, cities, and metro regions become better places to live and work — whether that’s working for municipalities, urban design firms, architects, real estate developers, or the myriad of companies today whose products or services stand to improve urban life. The CityFi team is a network of professionals who have implemented policies and projects at senior levels in government, foundations, and the private sector. Our team members have proven records of success delivering sustainable, significant change in the way cities work and the way people experience and participate in their communities. We foster true partnerships that create value for people, for the environment, and for the economy. 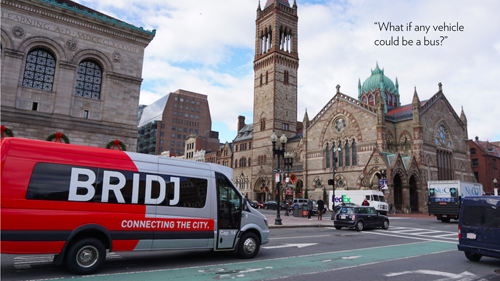 We work with innovative global and local companies to deliver top-flight services that enhance the civic experience without imperiling the public good. At its core, CityFi believes that great cities come not from monolithic projects but rather emerge from carefully-designed underlying conditions — street grids, equitable housing policies, business-friendly regulation — so that beneficial complexity can grow. This is how our most resilient, productive cities have grown for a very long time. We’d like to keep that growth going. For more information on CityFi and what we do, visit our website and our Twitter feed. This is an exciting time to be working at the intersection of technology, policy, and urban design. 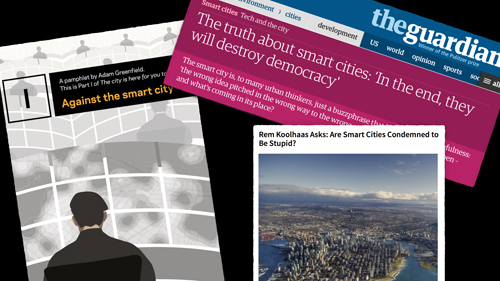 We’re (thankfully) past the techno-utopianist hype of the first wave of “smart cities”. Turns out the world hasn’t stopped urbanizing since then. Lots to do and couldn’t be more ready to get to doing it. My family and I are leaving Chicago. I’d like to explain. It’s simple: my incredible wife has been given a career opportunity that would be silly to let pass. The details aren’t really important. What is important is that the kids and I would do just about anything to support this woman. She’s on a rocket ship and we’re wired in at mission control. For those of you who know me, this may come as a bit of a shock. More than a few of the few of you I have delivered this news to in person have expressed that you never thought I would leave Chicago. Well, I never thought I would either. I love this town to my core. I have written about that love over and over, went to work for the City of Chicago to try to make things better, and I’ve helped raise a family here. But sometimes things change — and you never know what will happen. Back in 2000 when my wife and I were both working in Atlanta — newlywed, post-grad school, the very definition of unencumbered DINKs — unforeseen change also reared up. My wife’s company was being acquired and she was needed in Chicago. Honestly I was a bit worried. Chicago in 2000 was no tech mecca, especially compared to go-go late-90’s Atlanta. I specifically remember a BusinessWeek cover story from that year called “Chicago Blues” about how the town had lost its economic mojo. What, was I going to work for an agribusiness or something? Obviously we did move and obviously things turned out very positively over the course of the next 16 years. Chicago’s tech bubble burst and then the scene reconstituted itself stronger than ever. I am the happy beneficiary of a move I initially did not want to make. Oh, right: we’re moving to Denver. It’s gorgeous. It’s thriving. And, while I admit that Denver wasn’t ever on a short short list of cities I’d move to in a heartbeat, after a few visits I have no doubt it’ll be a great place to live. So much more to say — even more left to do — before we depart this summer. Let’s not be strangers, now or in the future. 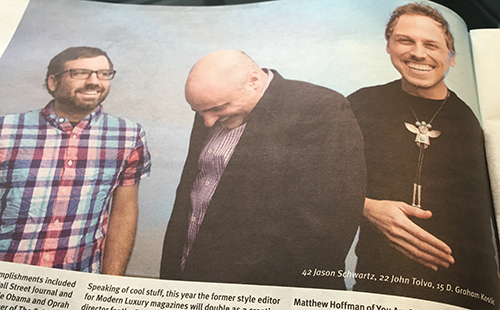 Pretty honored to be recognized by Newcity as one of Chicago’s “Design 50”. It’s quite a list to be on. Some designers on this list design furniture, some the buildings the furniture goes inside of, and still others the blocks and developments we put those buildings in. John Tolva goes one better with his latest endeavor, designing the algorithms and systems behind the tools of urban planning. The one-time “data czar” for the City of Chicago has moved on to the private sector where he has been applying his data wizardry and impressive computer science chops in the development of urban planning and visualization technology. As Marshall McLuhan said, “We become what we behold. We shape our tools and then our tools shape us.” John Tolva is the man shaping the tools. I made the list in 2014 too and it contained one of the most unintentionally doleful photos I think anyone has ever taken of me. Glad the photo from this year (above) is the other end of the emotional spectrum. 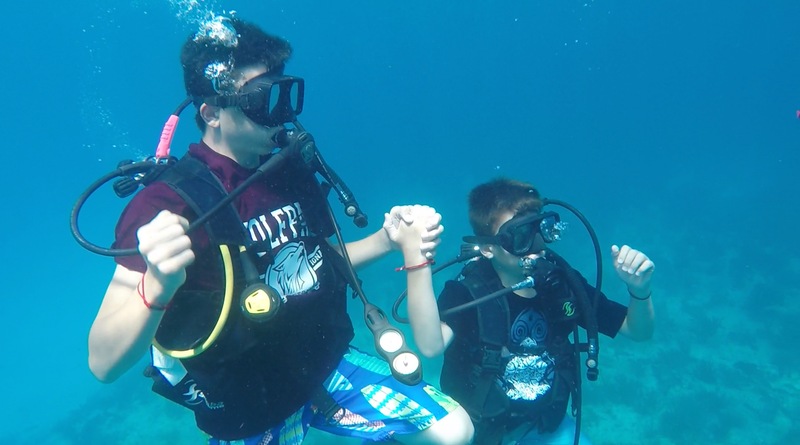 Last year, as Chicago settled into a colorless, lifeless winter freeze, I decided to take up Scuba diving seriously. Maybe it was escapism, envisioning myself floating above tropical reefs, the very opposite of the blizzardscape outside. There were other reasons for diving into an expensive hobby I had basically no time for. 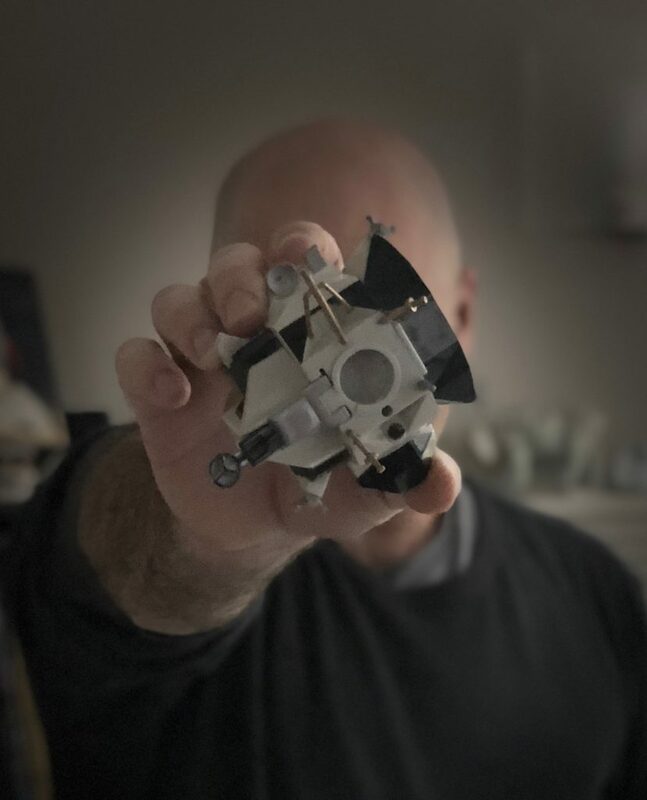 I suppose I’d finally come to terms with the fact that I would never actually be an astronaut. Diving seemed like a compromise. 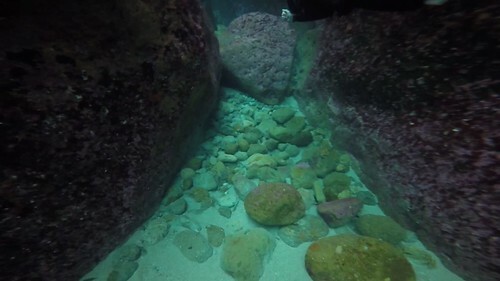 The sea’s a fairly alien world, as unmapped as the moon, and if you get your buoyancy right diving is about as close to flying (or bouncing around in microgravity) that I was ever going to get. It wasn’t completely out of the blue. I’d maintained a saltwater reef tank for about three years and had a more than beginner’s understanding of the complexity and beauty of marine ecosystems. Part garden, part science fair project, part sea creature death match arena: my reef tank was the gateway drug to Scuba. I was no longer content to sit outside the glass. I knew going in I wasn’t interested in great depth. 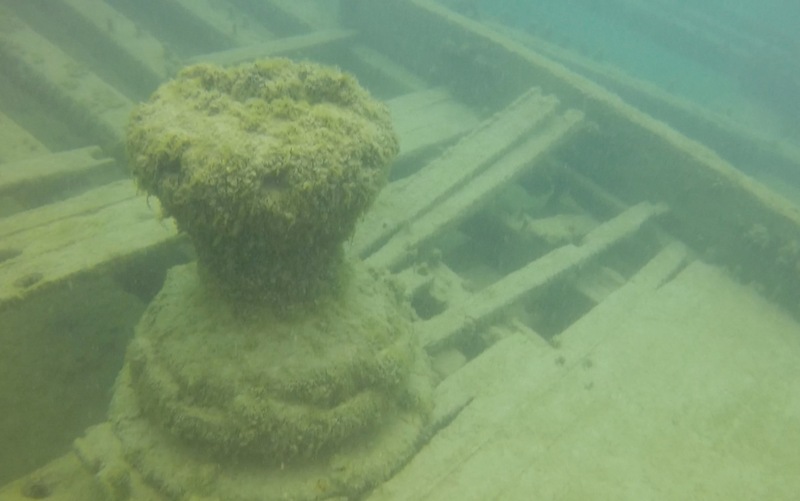 Not so fired up about shipwrecks. No desire whatsoever to jump through an ice hole or into mazy caves. I wanted coral reefs with all their bottom-up symbiosis and toxin-spewing brutality, exotic colors and improbable shapes, undulating tentacles and ship-slicing skeletons. Through luck, vacation time, and some trips tacked on to work travel I actually got to experience quite a bit this year: a sub-tropical way-stop of the East Australian Current at the tip of northern New Zealand; cliff-clinging life off the Amalfi Coast in Italy; the Crayola box coral gardens off Cozumel, Mexico; the mind-bending diversity of the Great Barrier Reef in Australia; and the playground of endemic species in Hawaii. 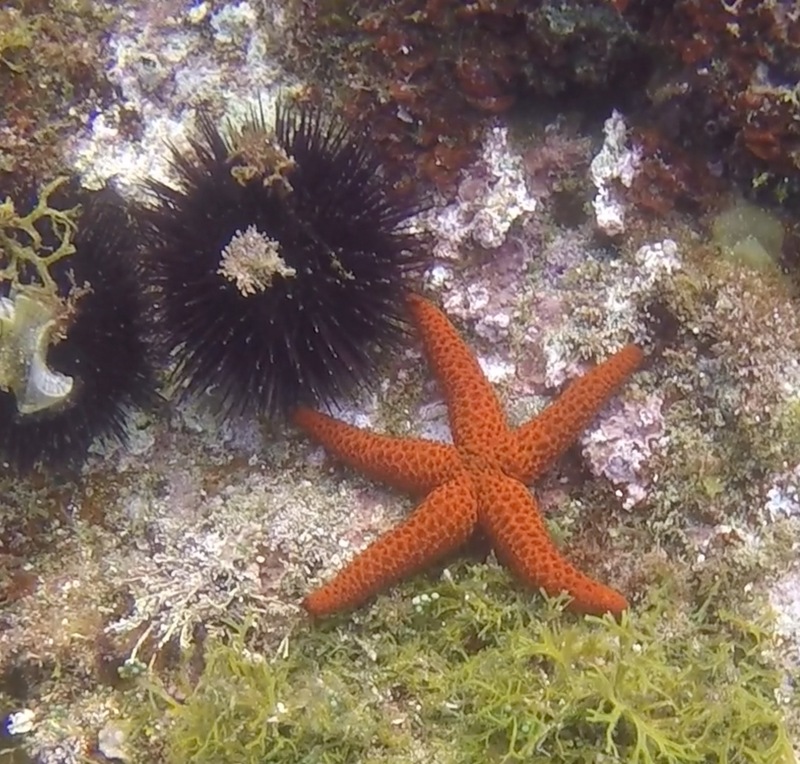 Even did a wreck dive in the chilly but crystal clear waters (thanks, invasive mussels!) of Lake Michigan. Here’s a map. 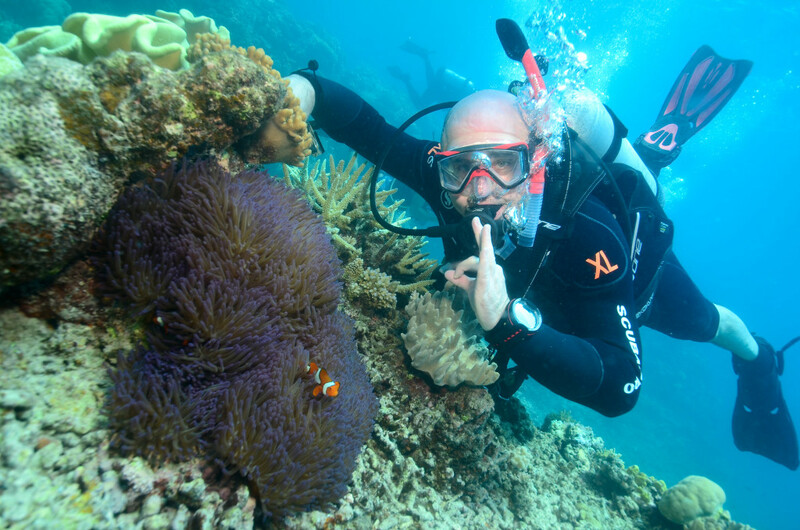 There’s no way to make sweeping statements about the health of coral reefs with as (relatively) few dives as I made this year, despite the somewhat globe-spanning locales. 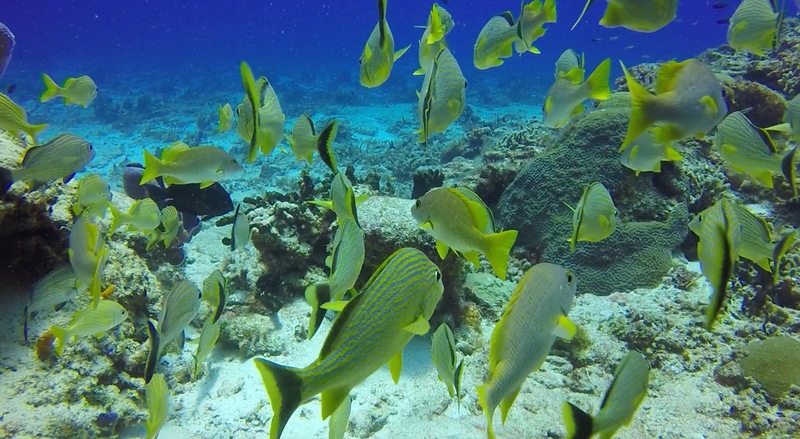 But it certainly is true that reefs, like rainforests, are the coal mine canaries of climate change. I have personally wiped out entire ecosystems in my aquarium with two degree temperature changes. 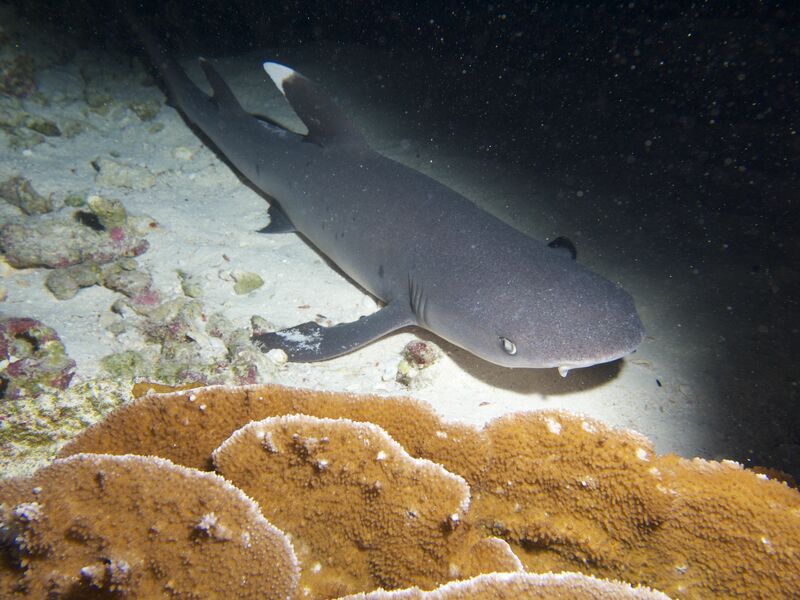 The ocean, of course, is far more resilient than a tiny tank, but it is clear that wild reefs themselves are under stress. We’re in only the third coral bleaching event in history and, while I saw some of the world’s best (and healthiest) coral, there was death and decay all around. It’s a wonderful world under the waves. Here’s hoping you get a chance to peek under them too sometime. Art not ashamed to publish thy disease? 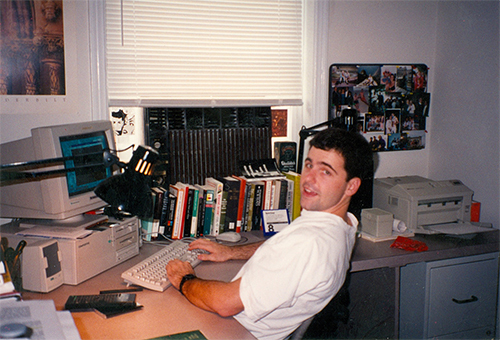 Twenty years ago I wrote a paper about the Internet. Let’s grade it. 1995. AOL, CompuServe, and Prodigy were the on-ramps to the Internet for most people. 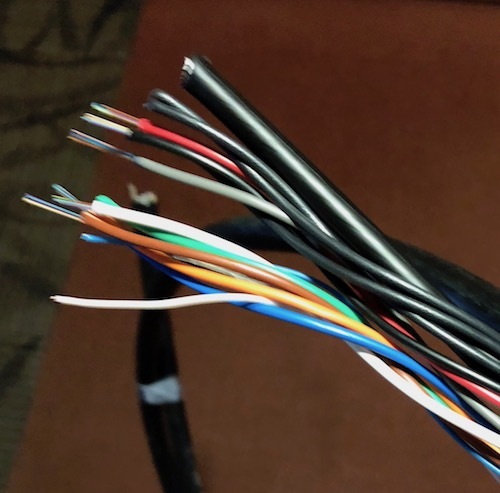 Geeks and university students surfed around via Telnet, FTP, Gopher and the still-new graphical web browser from the NCSA called Mosaic. Yahoo, Amazon, and Craigslist had just been born; Google was a year away. The Kindle was hard to even imagine. I toiled in grad school, studying the cultural consequences of the spread of printing technology in England. But I was a computer nerd too and wholly smitten with hypertext, firstly the literary, non-networked variety you installed from floppies and then the new blue-underlined links on the World Wide Web. So I did what an unmarried, basically friendless grad student does on a topic of interest: I spent weeks working on a horribly convoluted, jargon-heavy paper about it. The Heresy of Hypertext: Fear and Anxiety in the Late Age of Print was my embrace of electronic text and the nascent web. But that embrace was not really a discussion of the merits of hypertext. It was a critique of the critiques of the new medium — so very closed-loop and academia. In hindsight, a thoughtful analysis of what the Internet revolution might mean would have been way better, but then maybe I was presaging the web phenomenon of trolling the haters. It’s painful to read, sodden with language from critical theory and words I made up out of whole cloth — “technoclasm”, “intraloquial”, what? — but I think I have managed to pull out the thread of argument. Let’s dissect and evaluate. My starting position was that the printed word was on its way out. No timeframe, just that the slide was in progress. Probably seemed more radical in 1995 than I knew. Despite exaggerated reports of its demise, the codex book is not dead — but, like handwriting in the age of print, it isn’t likely to remain the dominant means of textual dissemination. So the question is not if computers will transform our notion of reading and writing, but instead how? True, in 2015 lots of books still get printed and read and, sure enough, newspapers are still around, but I think it is hard to argue that I got this one wrong. Though it is tough to quantify just how much reading takes place from a screen with the rise of higher-resolution displays, smartphones, and tablets, it seems obvious that the printed word has been toppled from its spot as Most Favored Medium. The question of what is being read or the quality of the print vs. online reading experience are other matters altogether, but I think this point has been proven over the last two decades. Anxiety #1: Unmediated, unsystematized, instant access to information will make people dumb. [Critics fear] that the non-hierarchical interconnectedness of hypertext represents little more than textual totalitarianism, implicitly proscribing what can and can not by read by the existence of a pre-defined nexus of links. It is certainly true that total access to information is not the same thing as knowledge, though that has always been the case. Instant access to basically any information has been shown to promote confirmation bias and to enshroud us in filter bubbles — and probably contributes to the aversion to long online reads. The critics were right to be skeptical. Hypertext-linked information does not make us dumb, but it does seem to amplify some of our human tendencies toward intellectual laziness. I’d argue this does not outweigh the benefits of access to the breadth of information available on the web, but my breathless cheerleading for “radically egalitarian” electronic text seems a bit shortsighted so many years on. … the circulation dynamic of texts published on the Internet resembles the medieval and Renaissance practice of glossing, parodying, or otherwise altering a manuscript before passing it along. Slowly, though, the ubiquity and fixity of print have eradicated such practices, all but banishing the notion of a collaborative, “textually permeable” work. Now, the cult of the author and the printing press are inextricably linked; you can’t have one without the other. Digital text, however, requires neither. As a consequence, and much to the chagrin of political critics, no economic model has yet been devised to explain its production and propagation in a capitalist society. I wasn’t really thinking about journalism at the time, but it is true that we have yet to see a really viable business model for words on the web. The printing press gave birth to more than our modern concepts of authorship and copyright; it created a giant business model that we still haven’t properly modified or turned our backs on. Anxiety #2: Digital text feels somehow different from printed text — and thus is bad. … both Luddite and hacker agrees [sic — er, sic?] that a difference does exist. But if the same word inscribed on paper and displayed on a computer screen means the same thing — and how could it not? — then the only explanation is that we perceive a discrepancy, that the medium itself somehow affects how we think of the words. Notwithstanding that the estate of Marshall McLuhan is probably owed royalties on that particular insight, it is obvious to nearly everyone now (as it was then) that there is an experiential difference between screen and paper. Reading on the Kindle most certainly does feel different than reading a book. Research has proven this to be the case with some concrete differences between paper and screen. If I had an argument back then it was that this perceptual difference was not enough to dismiss electronic text as a medium altogether, which many critics did. I didn’t really back this up with anything, which may explain why I am not a college professor in 2015. Anxiety #3: Electronic text, composed in graphical environments and often presented on screen intermixed with visual media, demeans the power of the word. The upshot of critiques in this category is that words should be words, pictures should be pictures, and keep ’em separate. I cited hand-wringing over GUI-based word processing environments where “students who used word processors in the iconic environment of the Apple Macintosh wrote qualitatively and statistically inferior prose compared to students who composed on the text-based interface of IBM’s DOS machines”. That may or may not have been true then, but what’s interesting 20 years later is that, though we live firmly in graphical computer environments today, the pendulum for serious word processing has swung back, essentially acknowledging that visual distraction and excessive document customizability are at odds with serious writing. Programs like Scrivener and Ommwriter and entire window functions like OSX full-screen mode exist to address the problem of focus. [The] fear is not that future writers will revert to pictograms but rather that the traditional modes of textual composition that stress linearity, closure, and containment are being eroded from the inside out by the visually-based compositional aids themselves. The essay really says more about me than it does the Internet. If you can parse the byzantine prose you hear a kid full of excitement about a new medium, ready to make the jump from English grad school to Information Design. It was a thrilling time, though I’m left with nostalgia for a time when the web seemed so full of possibility and uncharted. It’s still a wilderness, but not for the right reasons. In December of last year , panic struck the Internet when rumor spread that a text-based computer virus was replicating its way across the globe and that it could be acquired simply by reading one’s electronic mail. For a while millions of people refused to approach their messages, afraid that the very act of reading would cause infection. We would do well to learn from this reaction, especially since the idea of a text-based virus was proven to be a practical impossibility; the rumor was a hoax. Indeed the rumor that the new medium of digital textuality will infect or corrupt our print-based practices is as baseless as the hysteria caused by the alleged virus. Human communication, like a living creature, has always adapted to tumultuous periods of change, surviving the “pathogenic” influence of speech, literacy, and moveable type, and no reason exists to think that it won’t adapt to the computer. Viral infection from online reading was a joke in 1995 and for many years later (though many believed it was possible), but recently a bug was found to be exploitable in the Android operating system that allowed malicious code to take over a device simply by receiving a text message (technically MMS). There’s still no need for panic; we adapt, as we always have. And that’s the argument of “The Heresy of Hypertext”, minus 3,806 words. May 20 was the Day of the Lucani, a completely made-up, sparsely-documented celebration for people whose ancestors can be traced to the lonely region of Basilicata, Italy. This roughly triangular province, called Lucania by ancient Greeks, is the instep of the boot of Italy, a mountainous, relatively arid landscape sandwiched between the Tyrrhenian and Ionian Seas that Norman Douglas called “the Sahara of Italy” in 1915. My great-grandparents came to America from this region in 1903 — as did very many of their compatriots. So much so that in the early part of the 20th century the volume of émigrés exceeded the birthrate. I’ve visited Basilicata three times (and written a lot about it), meeting people along the way each time. A few weeks ago my friend Daniele Bracuto, a designer from my great-grandparents’ village of Barile, posted a menu exclusively comprised of specialities from that small town. This is remarkable for a few reasons. First, though many (most?) Italian-Americans can trace their roots to Southern Italy, there is a dearth of cookbooks from there. (Sicily is an exception.) One might attribute this to America’s continued fascination with all things Tuscan, but the truth is that even today there is a real ignorance of Italian culture south of Rome. Christ stopped at Eboli and apparently so did the cookbook authors. The other reason this is exceptional is that Barile is a tiny place, known really only for three things: 1) an extraordinary wine called Aglianico del Vulture; 2) its position on the slope of a majestic, extinct volcano; and 3) that its citizens lived in caves carved from limestone into the 20th century. Food, you will note, does not distinguish Barile (or, really, Basilicata — there is a reason many Southern Italian dishes use hot peppers). But I was wrong about that and I had a menu to prove it. Daniele sent me the chefs’ recipes. They were in Italian (of course), some Arbëreshë (I think), and scaled to serve many dozens of people. There was no way I was not going to make it, terrible translation and portioning be damned. Now, I have been practicing cooking as ancestor worship for a long time (here’s Spaghetti All’assassino, scorched wheat pasta, and Carbone Dolce). But this was a challenge above and beyond. I headed to Eataly in Chicago for expert help. For one, I was looking for tagliatelle mollicate, a kind of thick, serrated linguini I had never heard of. 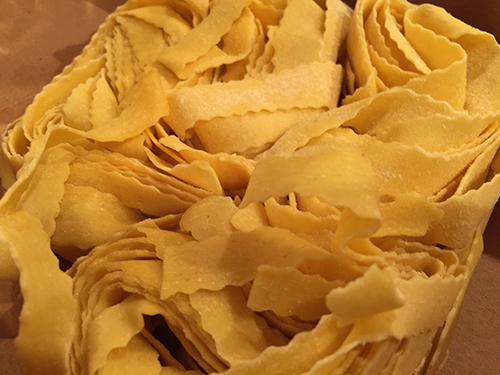 But Antonio, the legit paisan pasta monger at Eataly, knew of it and called it “reginelle” pasta. But Eataly did not carry it, so … he made it, by hand, with a zig-zag cutting tool! Suffice to say there was a lot of improvisation. I chose two of the four courses from Daniele’s menu. 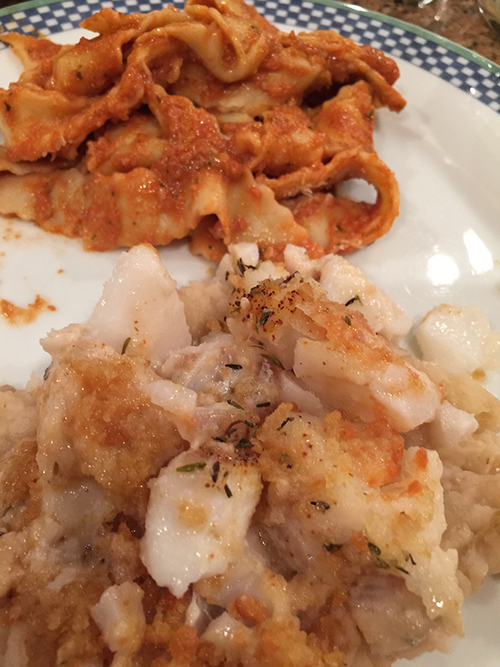 The pasta dish and a cod and bean puree dish. Recipes are included below in Italian lest you make fun of my translation. Original proportions. Run it through Google Translate if you want a real laugh. Preparare il sughetto con olio aglio e separatamente tagliare le alicette a pezzettini ed immergerle nel soffritto. Aggiungere il pomodoro e portare a cottura. A parte in una padella fare tostare i gherighi di noce con la mollica di pane e un po’ di olio fino a farlo diventare croccante. A fine cottura aggiungere una spolverata di prezzemolo. Cuocere la pasta e saltare in una parte del sughetto aggiungendo un po’ di mollica aromatizzata. Impiattare aggiungendo uno o due cucchiai di sugo ed abbondante mollica di pane. Timo, Rosmarino, cipolla, prezzemolo, Alloro, peperoncino, aglio. Baccalà: Spellare il baccalà, togliere la pelle e tagliandola a triangolini farla cuocere in forno con un filo di olio fino a farla diventare croccante per guarnizione. Tagliare il baccalà e creare 100 pezzi di 4cmx4cm circa l’uno, cucinare sottovuoto al 50% unendo timo, poco olio e pepe, cucinando a vapore a 80° (forno a temperatura controllata) se non ha il forno con buste per cottura in acqua quasi al bollore. A parte utilizzando la parte rimanente del baccalà (NB utilizzare le parti più alte del baccalà per i 100 pezzi e le parti più basse verso la coda per la pallina di baccalà), cuocere a vapore controllato sempre con timo olio e pepe e a fine cottura frullarlo insieme alle patate lesse e servire le palline con una pinza pallina gelato. Fagioli: Mettere a bagno i fagioli la sera prima, successivamente scolarli e cucinarli in acqua con poco sale e qualche foglia di alloro. A parte fare un fondo con cipolla tritata, poco peperoncino, un rametto di rosmarino e del lardo. Levare il rosmarino ed unire i fagioli cotti precedentemente. Lasciare insaporire ed aggiustare di sale e pepe. Utilizzare una parte di fagioli interi guarnizione e la restante passarla al passatutto. In fase di guarnizione utilizzare il peperone crusco. It turned out quite well, all things considered. The sauce for the pasta had the slightest hint of anchovy and a somewhat stronger hint of red chili and the serrations of the pasta held it nicely. The cod/potato mash on top of the bean puree combined for a flavor I had never experienced. But this is only part one. 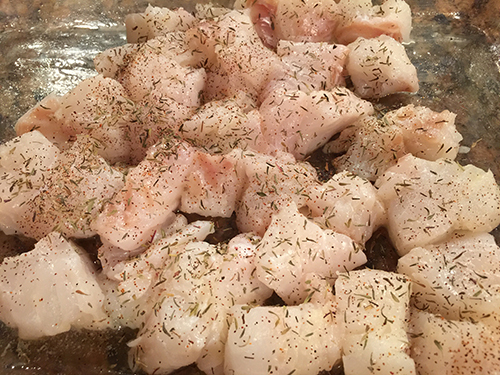 The real delicacy from the menu I am excited to make, Zuppa dei Brigante (“Brigand Soup”) awaits. For now, though, I have a flight to Italy to catch. Ciao! 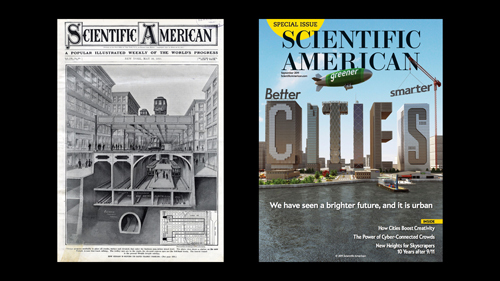 About a century separates the two Scientific American covers above. We’ve been talking about “smart” cities for a long time. Maybe not in so many words, but the idea of designing a city to optimize it, to make it more efficient, to make its uses more intelligent far pre-dates digital technology. Sometimes the term is at the forefront of urban rhetoric and marketing — during election cycles or after natural disasters, for instance, or when new industry entrants smell a market opportunity. And sometimes the idea recedes a bit. Recently we’ve seen outright hostility to “smart cities”. But no matter when we’re talking about smart cities we often do so in terms of particular systems or projects. This city is smart because of its low-carbon transit network. 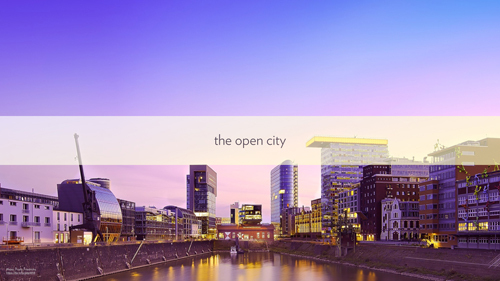 This city is smart because of its waste-to-energy plant. This city is smart because of its predictive policing. And on and on. 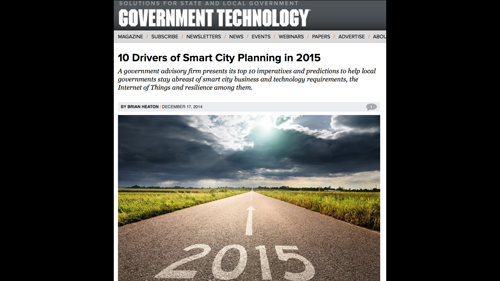 Or, as above, we can put together top ten lists of projects that will make your city smart. Projects that are so tied to specific new technologies they will either fail or be obsolesced by the volatility of technological change. 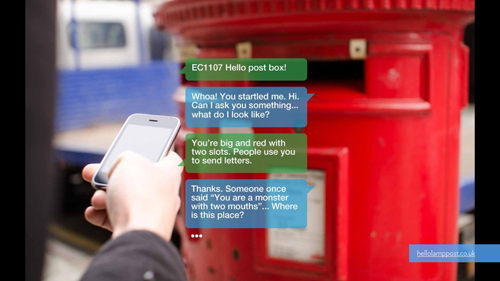 A more useful way to talk about smart cities might be to ask questions of a different type. What approach do they take? What is their philosophy of smartness? Who does it benefit in the long run? Below I describe some of these philosophies with design case studies. Though many of these examples are rooted historically, they are not necessarily linear in time — they overlap, circle back, and pop up dressed differently. The clockwork city is the conception of metropolitan operations most familiar to people. It is an Enlightenment view of the city as a literal machine. One that can be measured, whose gears can be oiled, whose job it is to produce efficiency. It is an engineer’s view of what makes a city work. The city as sum of its infrastructure and services. 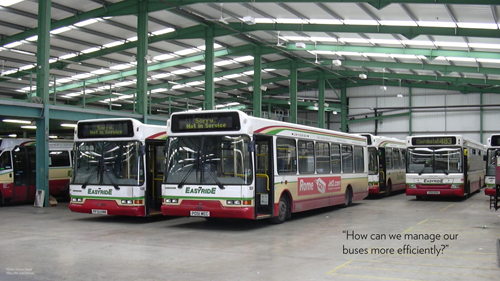 One way to understand the clockwork way of thinking is to use the example of public buses. A clockwork view poses the matter of buses as an exercise in operational performance: How can we manage our buses more efficiently? This of course has led to innovations such as timetables. It is an infrastructure-focused view that prioritizes the operator’s needs — essentially asking, in this example, how can we know when buses are supposed to be at a given stop? There’s nothing wrong with this operational approach, of course, and indeed it has dominated city management for a very long time. What’s useful is to note how this view is the singular focus of most modern “smart city” campaigns, especially with regards to how enterprise technology firms view the challenges in front of a city. 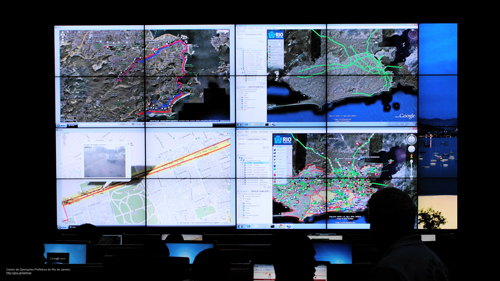 Wanting to know where your buses should be is the seed that grows into citywide command centers powered by top-down, command-and-control technologies (such as the one pictured above in Rio). It has been called Dashboard Governance. There have been many attempts at this kind of smart city. Most are developments from scratch or adjacent districts of established towns. Because ecological sustainability is in theory a more easily quantifiable axis of a city than, say, homelessness or income equality, energy is usually the centerpiece of these types of smart cities. Most have not lived up to their marketing. There’s a different philosophy of the smart city and it has been driven by the move in recent years to open up city data to the public. Initially undertaken as a political corrective to decades of opaque systems and hard-to-FOIA documents, the open data movement in cities has grown beyond transparency to cities that use it to enforce accountability in its workforce, to analyze patterns and trends for policy interventions, and even as a starting point for companies to add valuable services upon. 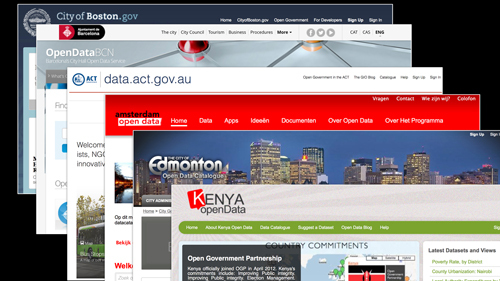 Open data as economic development. Using the bus analogy again, instead of the city telling commuters when a bus should be where, an open city approach to design let’s people ask: How can I know where and when a bus will be available? It may seem a subtle distinction, but the difference is enormous. 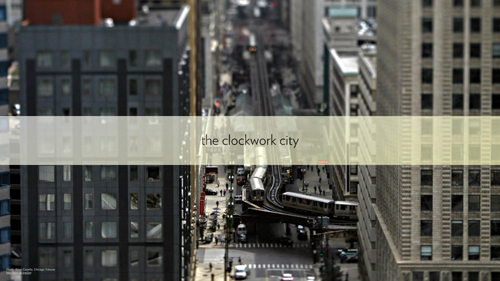 The open city puts the user of the system — in this case the city-dweller — at the center. Decision-making control, if not operational control, of the system moves from inside government to outside. Examples of open city design from the civic tech movement are plentiful. 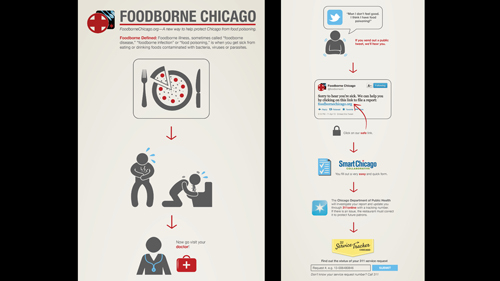 Above, Foodborne Chicago uses public tweets (generated by people totally unconnected to the public health department) to determine whether an instance of food poisoning has occurred. 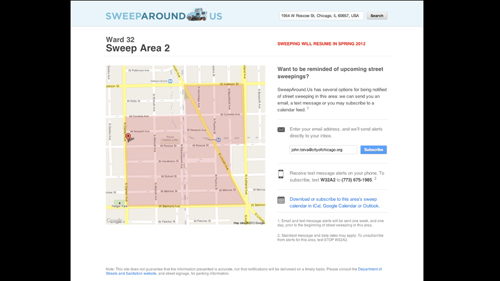 SweepAround.us takes somewhat inscrutable public data about when ticketing will be enforced for street cleaning and proactively alerts residents when they need to move their vehicles. The open philosophy of the smart city above all focuses on making the city more legible; it isn’t necessarily about citizen-government interaction but about allowing those who live in cities to situate themselves at the center of systems — making sense from the vantage of their personal needs and uses. 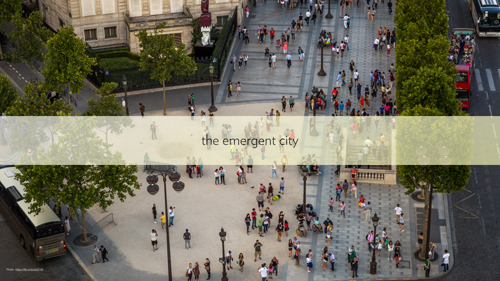 The newest perspective is what might be called the emergent city. In this framework initiatives are aimed at changing the underlying conditions that lead to a system’s functions, rather than the system itself. It takes the constituent pieces of the urban experience (whether run by the municipality or not) and joins them loosely through technology to generate different outcomes. The bus example is again useful. An emergent approach, one that we might also call city-as-platform, asks not when or where a bus is, but rather “What if any vehicle could be a bus?” Typically cities address outcomes, in this case moving people around, but emergent city design seeks to change the initial parameters of a system and let complexity grow from that. If the goal is to efficiently transport people in groups throughout the city, a centralized bus service is one way to do it. 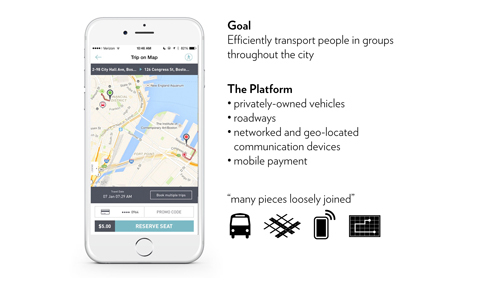 But thinking of mobility as a platform, we can also tally the constituent parts — here, privately-owned vehicles, roadways, networked personal devices, and mobile payment — and ask how they might be made to generate the same outcome as public buses. The example of the Boston company Bridj above is one effort at accomplishing this. This isn’t about privatizing services so much as it is rethinking a city’s assets — public and private — when overlaid with network technologies. It’s the “sharing economy” with a civic bent: what happens when urbanism focuses on recombinant uses of space and infrastructure. 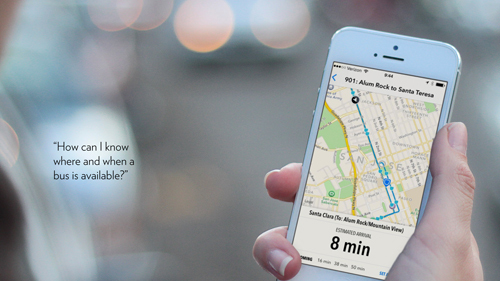 A technologist might call it experimentation-as-a-service. Projects such as Hello Lamp Post out of Bristol, England have this philosophy in mind as it uses street furniture to prompt local, place-based storytelling. The addition of network technologies to traditional aspects of the cityscape is what allows for the emergence of new uses of the city, new behaviors for its dwellers. While IT companies push for Internet-aware devices (the “Internet of Things”) largely in the pursuit of operational (clockwork) efficiency, the networked city also offers the possibility of new bottom-up solutions. 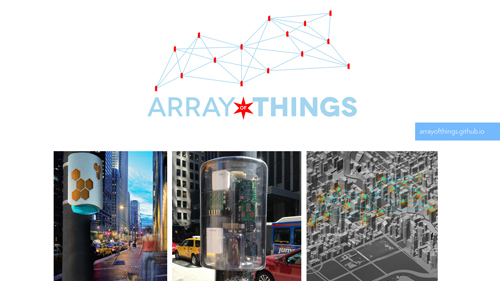 The Array of Things is a non-governmental project aimed at providing hyperlocal environmental data to whomever wants to use it. (One envisioned use case is to provide information about ice patches that have formed on sidewalks block-by-block.) In both examples, what’s different is that traditionally monolithic infrastructure is atomized and offered up for reuse. Hello Lamp Post and the Array of Things are not solutions to city challenges per se. They change the initial conditions of a system, allowing complexity and the creativity of the urban populace to make something from them. It’s tempting to think of these three frameworks as evolutionary, one building upon the other. But they are not. There are aspects of all three consistently rubbing up against one another in most cities today. And it is difficult to categorically say that one view is better than another, for that distinction requires acknowledging who the approach benefits. Being smart about smart cities requires asking ourselves who is defining what smart is and who might be sidelined by that definition.